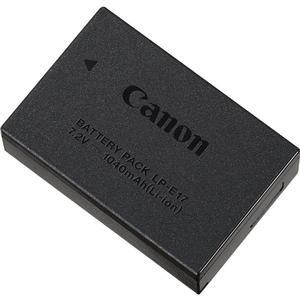 Increase your shooting capacity with this powerful Genuine Canon LP-E17 Lithium-ion rechargeable battery for Canon digital cameras. With a capacity of 1040 mAh, this LP-E17 will not put constraints on how you want to shoot. Plus, this rechargeable battery is Memory Free. It can be charged at any time without harm, even if it already has a partial charge, and can be typically charged over 1000 times.